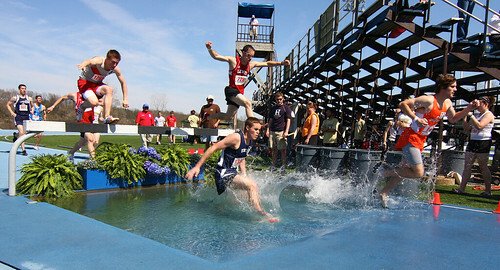 This is a shot of the water barrier in the steeplechase in the Gina Relays, which are going on this weekend at Hillsdale. I recommend you view this photo at a larger size by clicking on it. 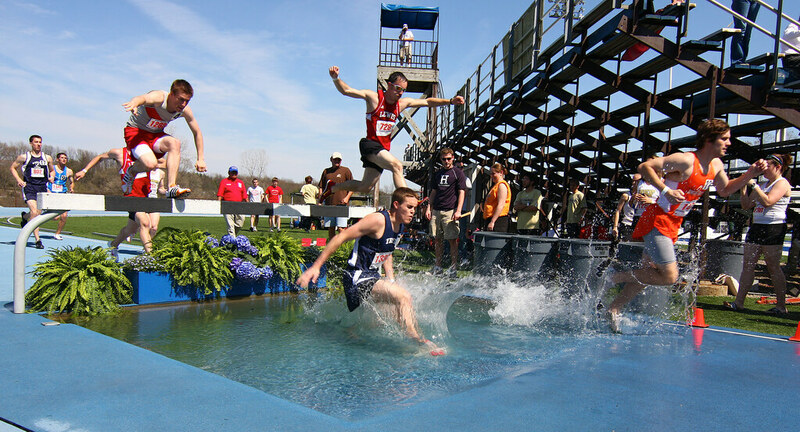 The water on the other side (which starts deep and has a gradual slope, which rewards runners with better jumping abilities) had fish in it! Someone caught about 20 bluegill and bought some goldfish and had them swimming in here. It was quite amusing. For the record, all fish were still alive after this event. By the way, it got up to 84 degrees today. The weather was beautiful! …and I got a 95% on a calc II exam I was worried about!